Briogg Town Reserves will host Market Rasen Town tonight in the Challenge Cup. Brigg’s second string lost 2-1 at Lincoln Moorlands Railway on Saturday, David Deane’s strike rulked out by goals from Luke Forbes and Simon Mowbray. Rasen will be buoyed by Saturday’s victory at leaders Skegness Town. Tonight’s action starts at 7.45pm. 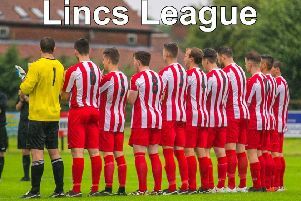 On Saturday Rasen host Harrowby Reserves in the Lincs League and Brigg are away at Louth Town (both 3pm).